Glezbass always brings the bottom end with great style and feeling. His lines are creative and expressive. He has excellent musical taste and is an inspiration to many of his fellow bass players, me included. It is an honor to be in the midst of such fine company. Such a fine collection by a great player. This album. streams a very good mood. Thanks for this collection of fine tracks! 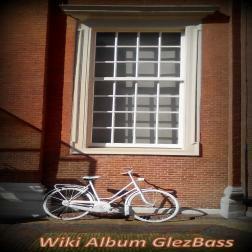 It's a great fun and pleasure to play with Glez, in some track, always a joy to listen his bass flowing on the track.